We've seen in the past that Big Tigger's got mad skills in dunk contests. And now we know he can defend professional basketball players. 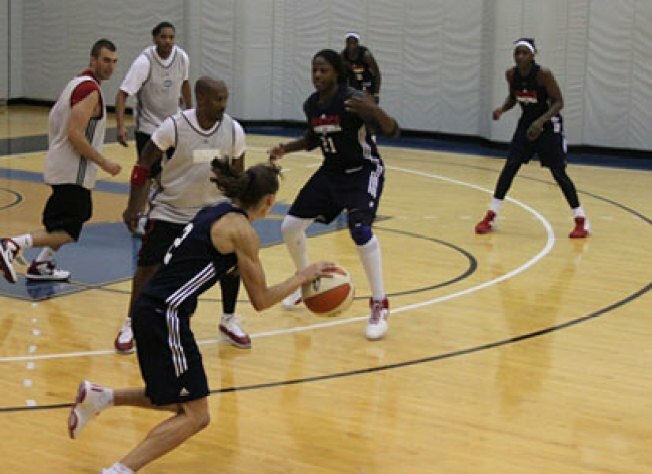 The radio DJ took to the hardwood Tuesday for a scrimmage against the Washington Mystics. It looks like he spent most of his time guarding Matee Ajavon, who you may know from her previous role as the inquisitor of Monique Currie's iPad playlist. So how did Big Tig do? Well, from the video posted on the Mystics' site, it looks like the women trounced the men by about a million to nothin'. For more images from the practice, click here.